—The Whole Town is Open! Dress up in your Victorian finery, pass a few coppers to the urchins, and have a grand time! Don’t expect any snow, the weatherman says 50°. 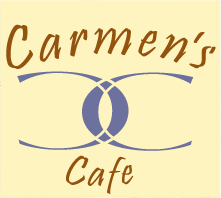 As usual, the best food and grandest times will be at Carmen’s— We are open from 9-7, the Stroll runs from 11-5, so come in afterwards for a song and a smile. The Nellies Return! Energetic rootsy, alt-country, Americana band — to play the Victorian Stroll at Carmen’s. Who knows what their lineup will be this Sunday? They always bring friends, and each new player is better than the last. Listen in from 2-6, with breaks for Jim-Gerale and Cubano Sandwiches. Or a brewski and fries. Or whatever. This entry was posted in Special Events, Troy Victorian Stroll, Upcoming Events and tagged Cubano, Live Music, The Nellies, Troy Victorian Stroll. Bookmark the permalink.